If you are renovating an older home and just discovered that the jambs on the exterior prehung doors that you just ordered aren't wide enough for the old walls, then the Masonite 2" sill extension is your solution. The Masonite 2" Sill Extension Kit with a Mill finish (Mill finish looks like aluminum) contains a 36" x 2" extension that can be easily snapped onto the existing door sill. Use this kit to extend your door sill from 4-9/16" to 6-9/16"
The Specialty Glass' Tilting Miniblind combines Clear Glass with Internal Blinds for enhanced privacy and ease of cleaning. This insert is designed to fit into a standard 1/2 Lite opening in your door. It includes the fastening hardware and a pre-caulked white frame that will not fade or yellow. The Specialty Glass' Venting Low-E glass insert combines energy efficient Clear Glass with an easy-open lower Sash. Its virtually maintenance-free. This insert is designed to fit into a standard 1/2 Lite opening in your door. It includes the fastening hardware and a pre-caulked white frame that will not fade or yellow. The inventive use of textured and grey glass creates a contemporary look in Croxley glass. With an obscurity rating of 5 (9 being the most obscure) you will enjoy natural light in your home while maintaining some degree of privacy. This glass is designed to fit into a standard 1/2 Lite opening in your door. It includes the fastening hardware and a pre-caulked white frame that will not fade or yellow. Kordella's flowing lines and varied glass textures provide simple elegance to any home. With an obscurity rating of 8 (9 being the most obscure) you will enjoy natural light in your home while still maintaining some degree of privacy. This insert is designed to fit into a standard 1/2 Lite opening in your door. It includes the fastening hardware and a pre-caulked white frame that will not fade or yellow. 36 Inch X 2 Inch Sill Extender Anodized If you are renovating an older home and just discovered that the jambs on the exterior prehung doors that you just ordered aren't wide enough for the old walls, then the Masonite 2" sill extension is your solution. 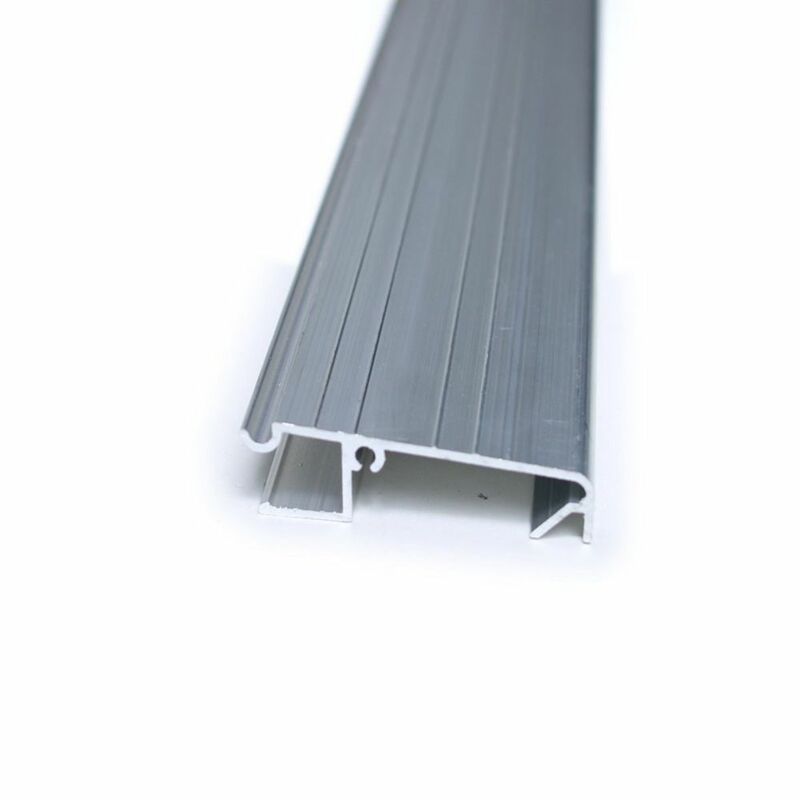 The Masonite 2" Sill Extension Kit with a Mill finish (Mill finish looks like aluminum) contains a 36" x 2" extension that can be easily snapped onto the existing door sill.